While the many extraordinary exploits of the seafarers who mapped the world have been well documented, those of their indispensable pest controllers, shipmates, and mascots haven’t – until now. 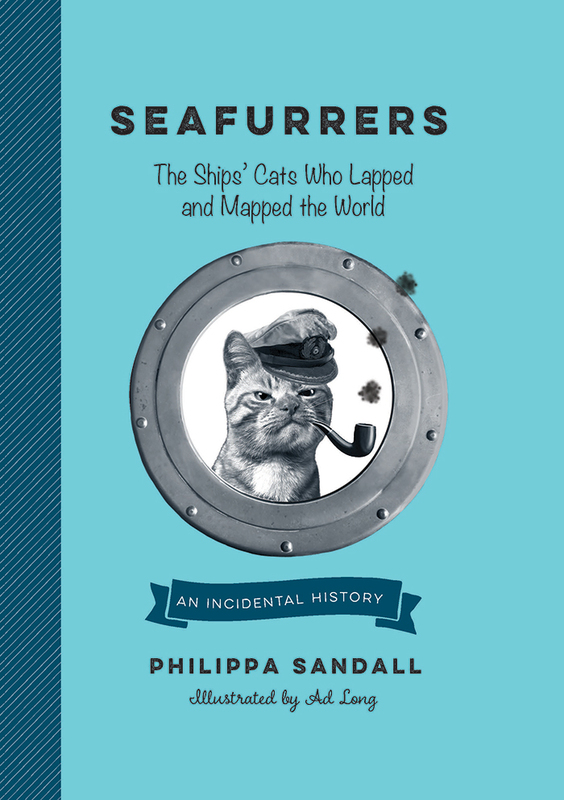 In Seafurrers, Bart the seafaring feline provides us with a cat’s-eye view of maritime history – starting in the Fertile Crescent and Nile Valley and ultimately hopping aboard the ships that set sail for the New World. Drawing on letters, journals, newspaper reports, photographs, and more, Bart acts as both curator and commentator, providing tales of Seafurrers and their swashbuckling owners, including famous seamen such as Sir Richard Hawkins and John Locke. From the gut-wrenching math behind the damage rats could do on ships to the charming pleasures of chasing flying fish, Bart expertly crafts a portrait of feline life on deck, as well as a deft genealogy of cat-human friendship that is sure to leave readers with a newfound appreciation of the cats who helped us at sea, and whom we now helplessly serve at home in return.